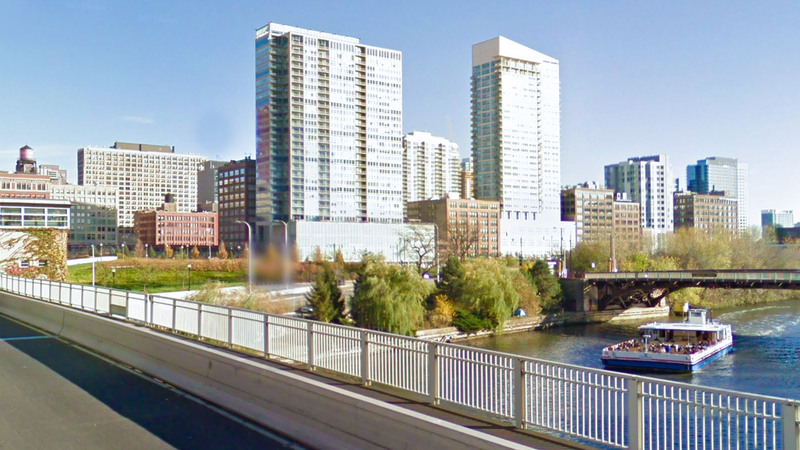 Built in the early 1960’s, the Congress Avenue Interchange along with the Interstate Highway system dramatically changed Chicago, marking a shift from a rail-centric city to the automobile era. 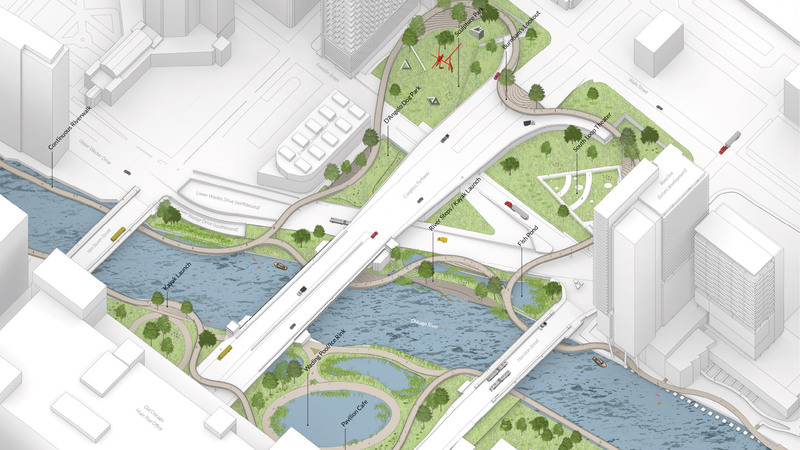 The highway, off-ramps, and bridge create barriers that divide neighborhoods. 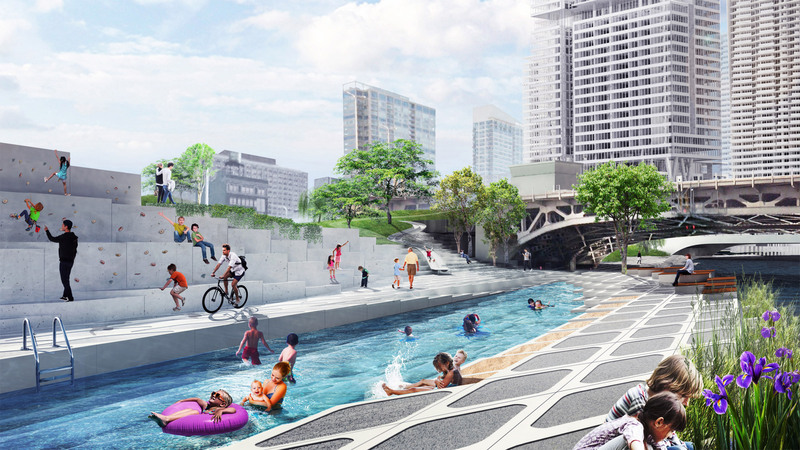 The Urban Thread prioritizes pedestrian and bicycle circulation by stitching together various levels of infrastructure, green space, and activity spots. 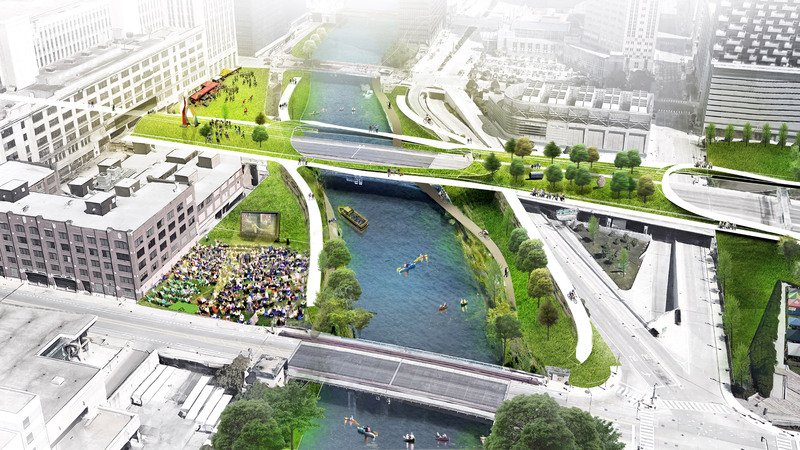 It provides for a continuous riverwalk. 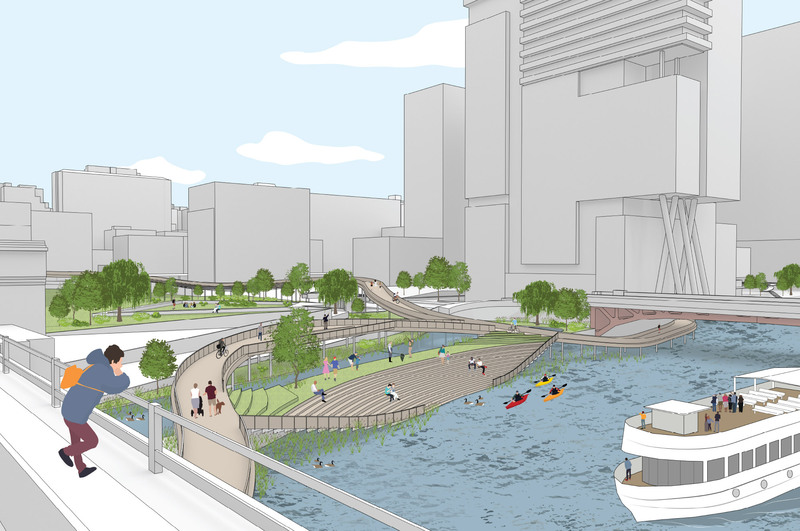 The weaving path curves vertically and horizontally to bring pedestrian access to multiple levels, unifying existing and future green spaces, and providing direct access to the river. 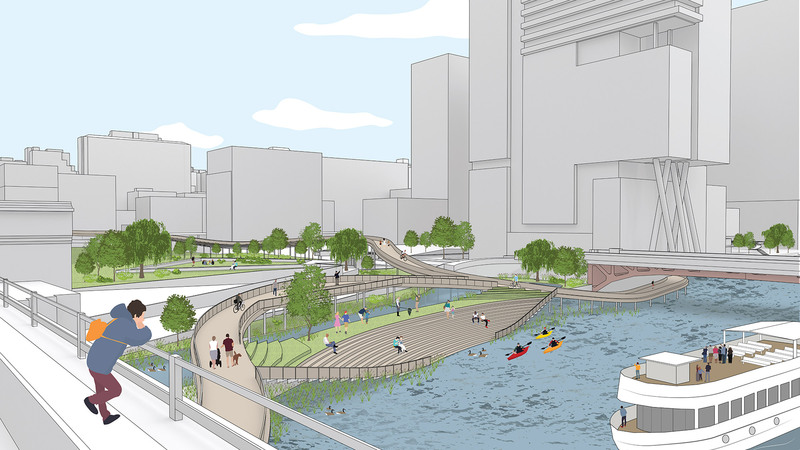 Programmed spaces include kayak launches, fishing areas, dog park, art sculpture plaza, river theater, reflecting pond/ice rink, and cafes. 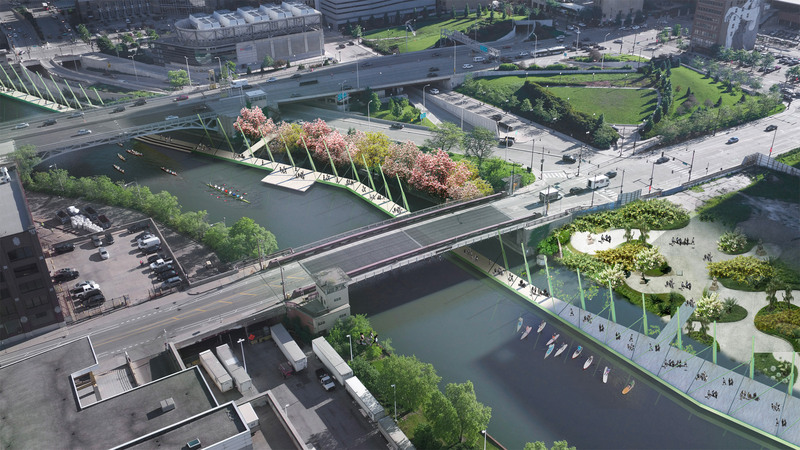 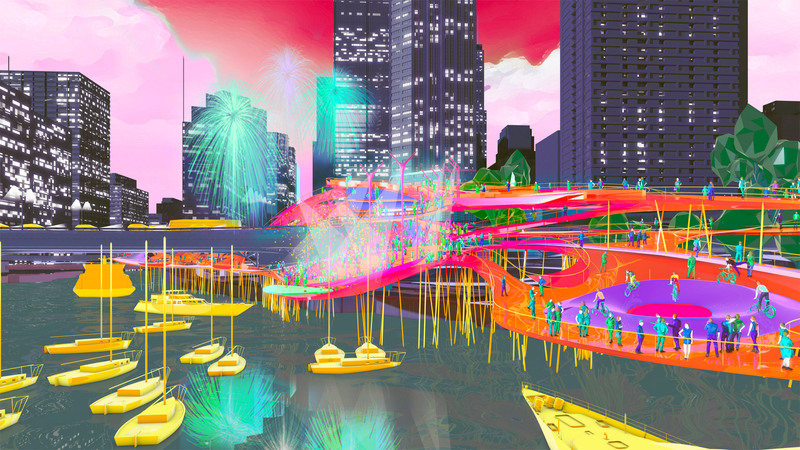 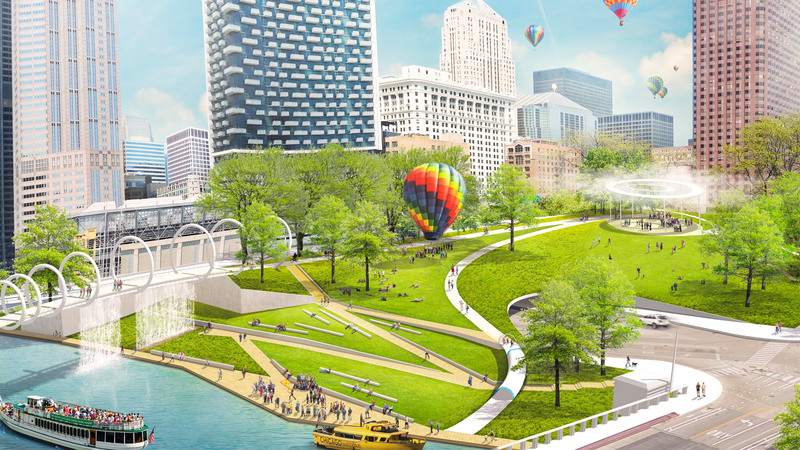 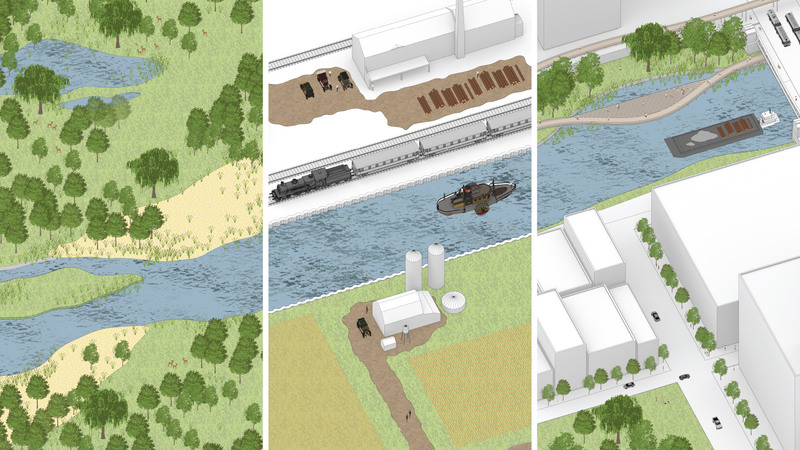 A pedestrian and bicycle path weaves together multiple layers of infrastructure into a series of programmed open spaces connecting to the Chicago River. 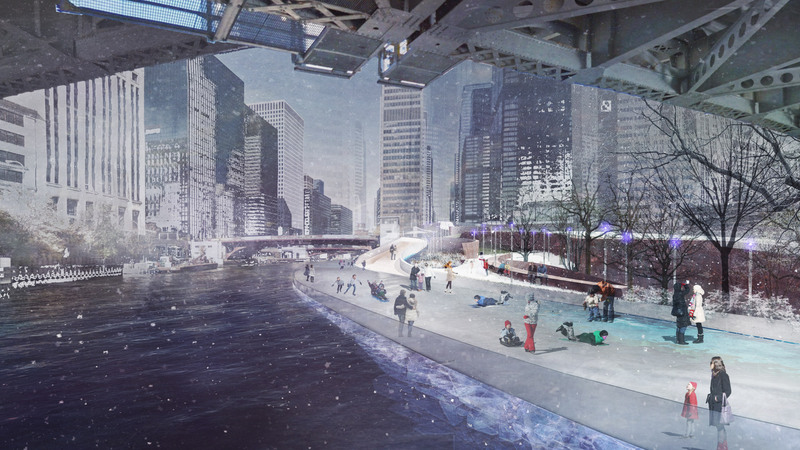 Overlapping infrastructures provide seamless transitions between the river, the riverwalk parks, and the greater networks within the Loop. 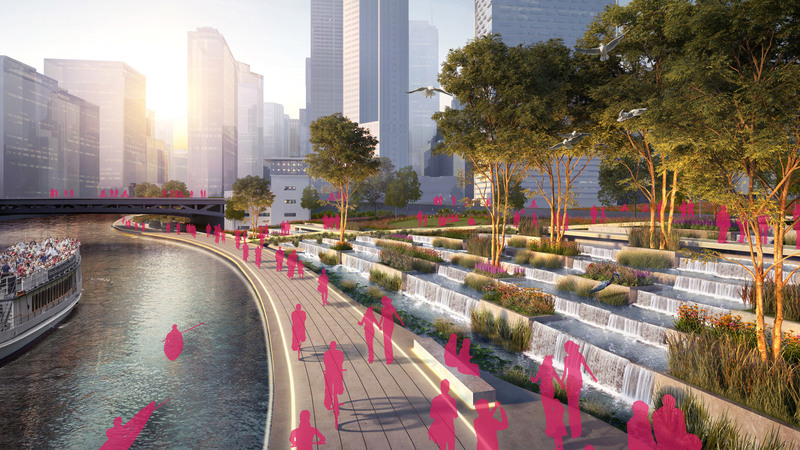 Stepped plazas provide direct access to the river—places to launch boats, go fishing, and dip your toes.